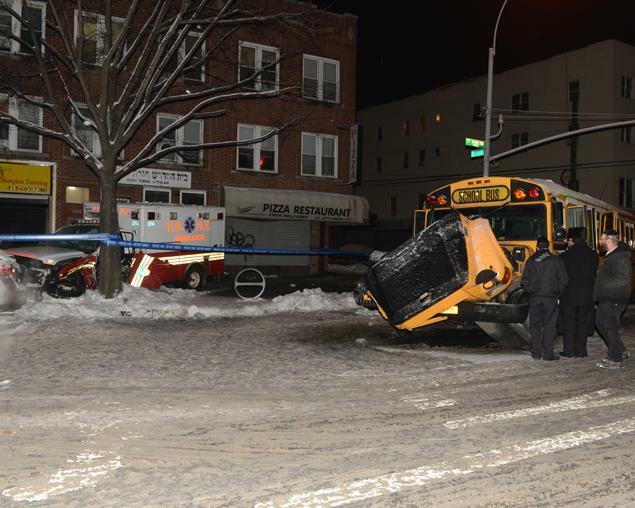 3 adults were seriously injured in an accident between an ambulance and a school bus that happened yesterday night in Brooklyn, New York. The 16 children who were in the bus suffered only minor injuries. The ambulance was speeding down Fort Hamilton Parkway and the bus was crossing on 51st street when the accident happened.